In a seed cell tray or small peat pots, sow the Kale seeds in seed raising mix at a depth of 1.5cm, back fill over the hole and water gently. Start your Kale seeds 2 month prior to planting out in your EcoWise Garden bed. When the seedlings reach 20cm in height they can be transplanted. The seedlings should be planted deeper than they stood in the seed cell tray so that the lower leaves are just above the soil line, leaving the roots and some stem below the soil. Plant the seedlings 30cm apart. Kale will appreciate fertilization every 2 weeks during the growing season; use a liquid fertilizer such as Seasol, diluted worm juice or a compost tea. Add compost to your EcoWise Planter before transplanting your seedlings and side dress the plants with more compost after 4 weeks. Mulch the Kale plants well and interplant with companion plants. Beets, Celery, Cucumbers, Dill, Garlic, Hyssop, Lettuce, Mint, Nasturtium, Onions, Potatoes, Rosemary, Sage, Spinach and Swiss Chard. When the kale leaves are 20cm or bigger you can start harvesting the lowest, outer leaves by either pinching them off with your fingers or cutting them off with a sharp knife. Unless you are removing the whole plant to make room for another, be sure to keep the centre of the plant intact, also keep a few leaves on the plant for vigour. 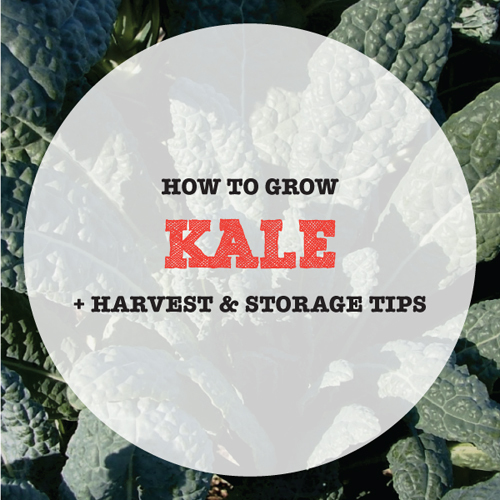 If cared for as mentioned your kale plant will continue to grow and produce harvestable leaves for some time. Soak harvested kale leaves in a sink full of cool water with a tablespoon of apple cider vinegar for approximately 20 minutes. Dry off with absorbent paper towel, placing the dried leaves into a plastic bag lined with fresh, dry absorbent paper towel for up to one week. If like us you enjoy organic kale in your smoothies, freezing manageable portions for use throughout the year is a must. To freeze for 12 months first fill a large bowl with water and a few fistfuls of ice cubes, keep a slotted spoon nearby. Soak the Kale as mentioned above, no need to dry it. Remove the stems and bag them for your next stock making adventure or stir-fry or pop them in the compost pile. Now, fill a stockpot with salted water and bring to the boil, place kale leaves into the rolling water, covered for 2 minutes. Transfer the leaves to the ice bath and then dry them by first rolling in a clean tea towel and then on absorbent paper towel. Line a biscuit tray with non-stick paper, place small bundles of kale leaves onto the tray and freeze until firm. Once frozen the clumps can be placed into a zip lock bag, remove the air before freezing.